Sen. Kabiru Marafa, representing Zamfara Central, says Gov. Abdul’azeez Yari, has offended God for insisting that the All Progressives Congress (APC) conducted party primaries in the state. NAN reports that Marafa, who fielded questions from State House correspondents, faulted the governor for initiating legal action over the matter and ask God to forgive him (Yari) for misleading the people of the state on the issue. He, however, commended the Court of Appeal for “an excellent job’’, saying he initially thought he might not get justice from his appeal against the state High Court judgment on the matter. “It is a promise that God will never help injustice against justice. So, I have always believe that this God we serve will definitely at the end of the day, because God peace at the end not the beginning. “And I want to use this opportunity to thank the President of the Court of Appeal for an excellent job she did. You know, we were quite apprehensive from the beginning, fearing that we might not get justice,” Marafa said. 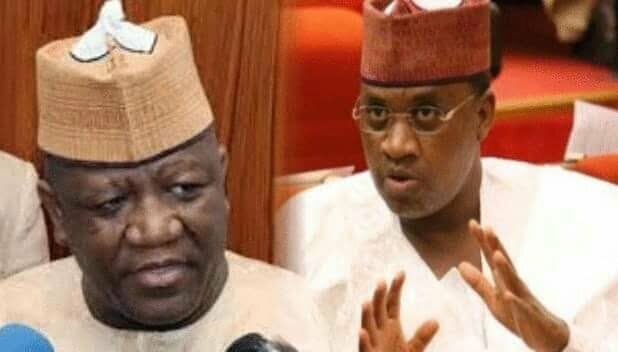 Marafa, who lamented that Yari’s actions have put the people of the state to shame, prayed that God would forgive him for what he had done to the state. On the assertion that he (Marafa) is playing the role of a spoiler and he should have let everything go since the national leadership of the APC have endorsed the result of Yari’s faction on the APC primaries, Marafa rhetorically asked: “Is the national leadership of the APC equal to Nigeria? The answer is ‘no’. “You cannot commit a criminality then you will approach the court and say ‘court legalise it for me’. You cannot commit criminality and then hide under the umbrella of party and now say that ‘because the party is going to lose’. Who is party? The people have the party. On the way forward in the state, the senator advised all those not satisfied with the the appeal court judgment to seek redress at the Supreme Court.